The Dunston Hills Neighborhood near the capital city of Columbia, South Carolina is located west of Monticello Road and southeast of Frost Avenue off of Haverford Drive and Waterford Drive near the Columbia International University. This wonderfully affordable neighborhood is just minutes from the downtown area of Columbia, SC which is centrally situated not only in the State, but also between three primary interstate systems in the area: I-26, I-77, and I-20. With this luxury, residents can find themselves in almost anywhere in the State or even the southeast. Take I-26 east or west and be in Charleston, SC or Asheville, North Carolina in little more than 2 hours. Take I-20 east or west and be in Myrtle Beach, SC in about 3 hours or in Atlanta, GA in about 4 hours. Take I-77 north and be in Charlotte, NC in less than 2 hours. Living in the Dunston Hills Neighborhood can certainly place you close to almost anywhere you may need or wish to go. Homes in the Dunston Hills Neighborhood are very affordable and in close proximity to not only the Columbia International University, but also Columbia College and not 10 minutes away from the three colleges in the downtown area. Homes here range in value from below $20,000.00 to over $70,000.00. The sizes of these homes range from below 1000 square feet to around 1800 square feet. In addition to the great location, these homes sit among tall pine trees adding a rural feel to the area. Homes here are mostly one story in construction and have such amenities as large yards, some that are fenced, and some bordered by forest. Some of these homes also have spacious rooms and many of the homes are newly refurbished. No matter what you might be looking for, there is certainly something in the Dunston Hills Neighborhood that will suit your needs. Living in the Dunston Hills Neighborhood places residents you just minutes from a variety of leisurely activities in and around the Columbia, SC area. With the number of colleges here, there are always a number of collegiate activities to attend in addition to the vast variety of shopping and dining options not only in downtown, but also out I-26 toward Harbison Boulevard, off Hwy. 378 toward Lexington, SC, or northeast on Two Notch toward Clemson Road where you can then find the fabulous Villages at Sandhill. Downtown Columbia, SC has a wonderful variety of entertainment options to include museums, theaters, parks, and even the Riverbanks Zoo and Botanical Gardens. 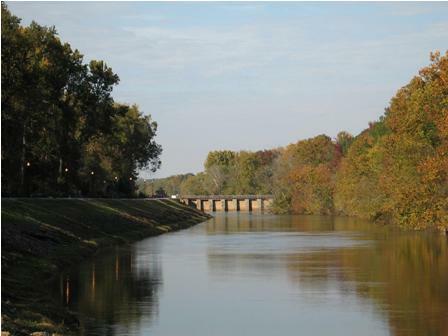 For those outdoor enthusiasts, Columbia, SC is bordered by two converging rivers, to provide a variety of options for water related activities, and Columbia boasts a large number of greenways along these rivers providing a nice variety of walking, jogging, and biking trails. No matter what you might enjoy doing to pass the time, you will certainly find something you enjoy doing nearby living in the Dunston Hills Neighborhood.